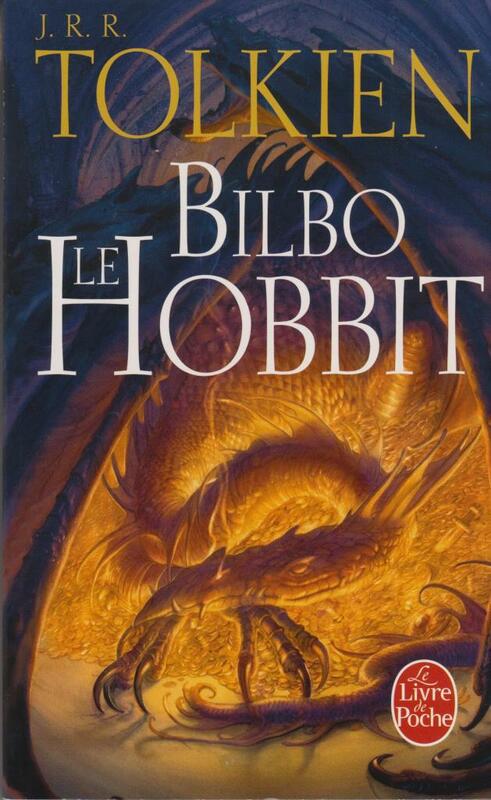 French translation of The Hobbit. Pocketbook, 312 pages. Illustrations: two maps, Thorin’s Map and Wilderland. 11 x 18 cm, weight 173 grams. 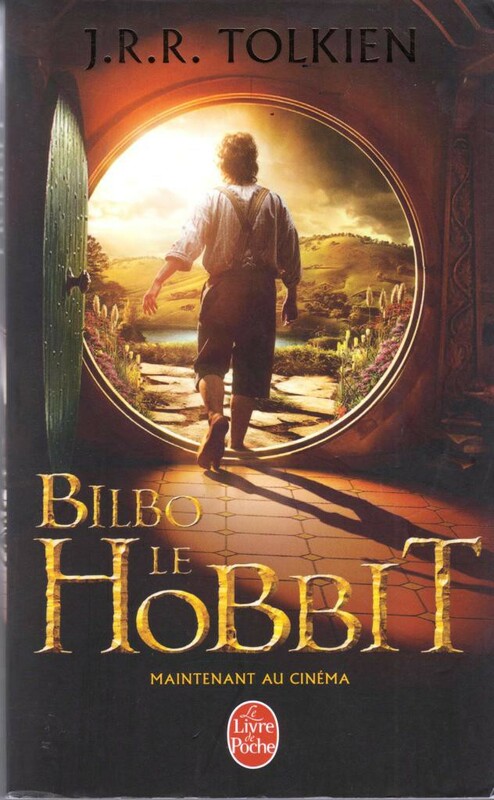 French translation of the graphic editin of The Hobbit. Hardback, 134 pages, 18 x 29 cm. Adepted by Charles Dixon and Sean Denning, illustrations by David Wenzel. 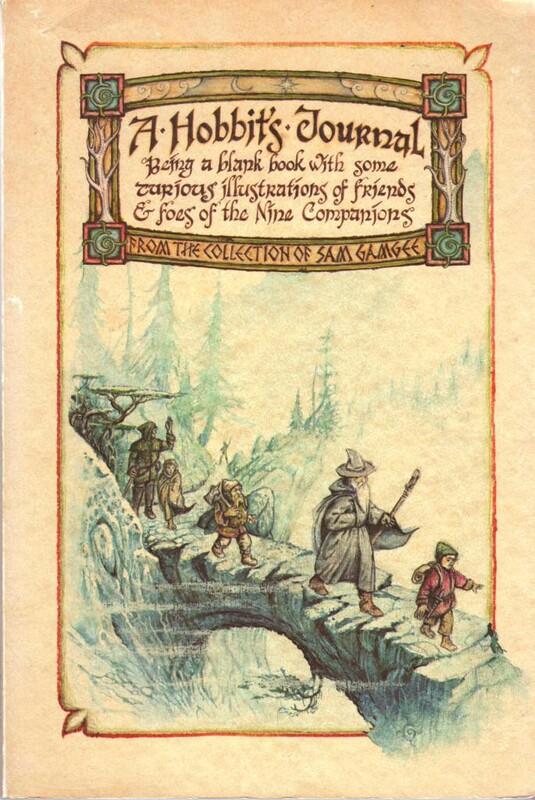 A blank book with some curious illustrations of friends and foes of the nine companions – from the collection of Sam Gangee. 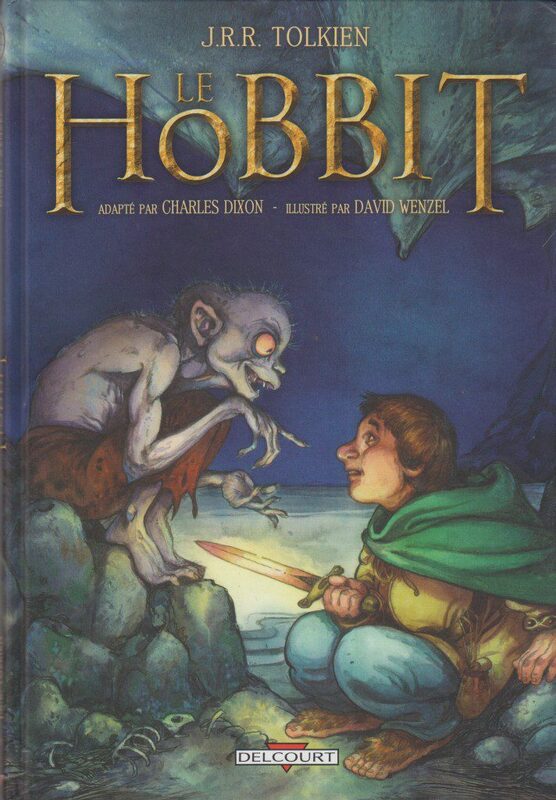 Comic version in French by Charles Dixon (adaption) & David Wenzel (illustrations) in French, translated by Anne Capuron. 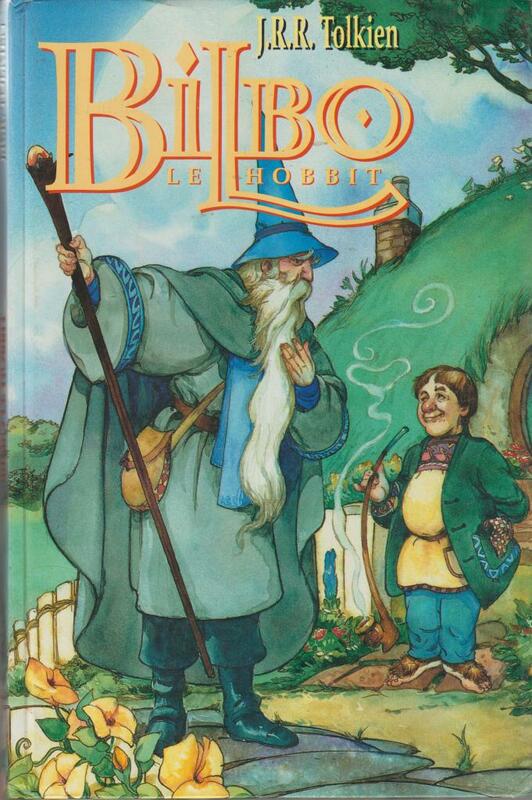 DELCOURT 2012, hardback (no dust jacket issued), 144 pages, ISBN 978 2 7560 2003 7, weight 704 grams, 20 x 28,7 x 1,4 cm. 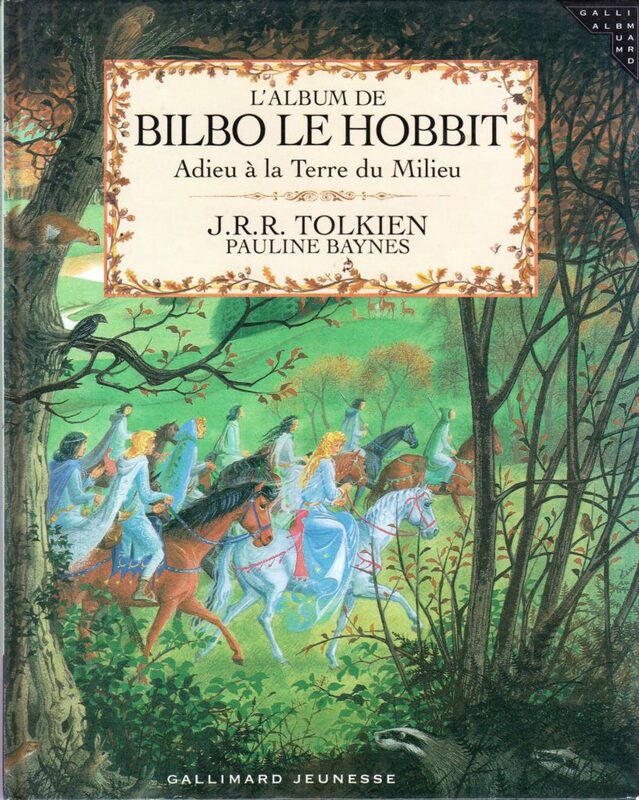 French translation of Bilbo’s Last Song. Translated by Pierre de Laubier. Illustrated by Pauline Baynes. 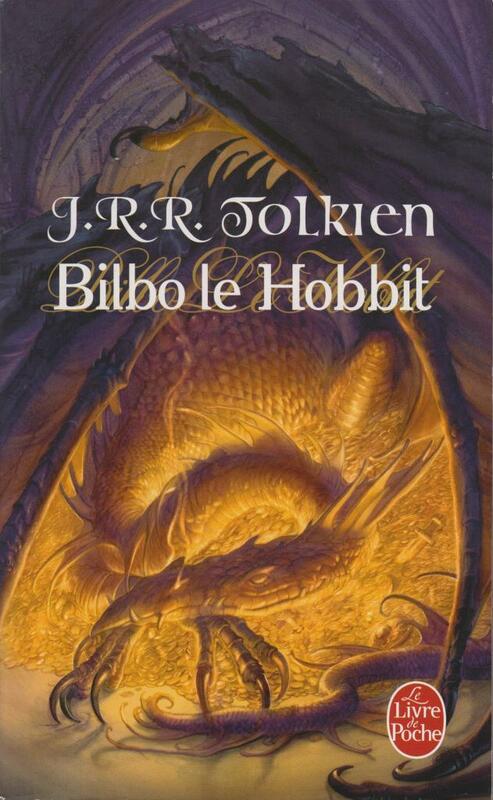 Gallimard Jeunesse 2001, hardback (no dust jacket issued) 32 pages, ISBN 2 07 054940 2, weight 315 grams, 20,8 x 26 x 0,6 cm.